Joni Sternbach began her ongoing esteemed photography series 'Surfland' over 12 years ago, following time spent shooting surfers in Montauk, New York. Determined to continue the project despite the season coming to an end she decided to travel to surfing spots across the globe, following those in pursuit of the perfect wave. Rather than capturing them in what would usually be an action shot, she documents them in the brief passing moments of downtime before or after entering the water. Using only the traditional photography technique of Wet Plate Collodion these portraits have an incredibly raw feel. 'Surfland' not only captures the universal community that revolves around surfing but documents surfers in a way that is not usually seen, and with a timeless sensibility. 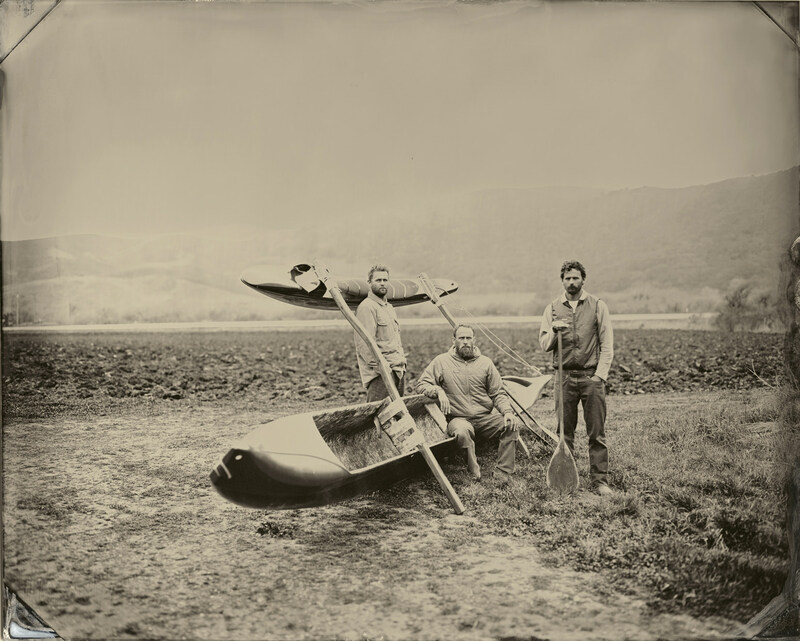 The art and craft of making wet-plate collodion tintypes is elaborate and dirty work. The silver nitrate used to sensitise the plates can oxidise on the skin and form a dark brown stain. The process is a finicky one that necessitates patience, experience and a touch of luck to make a good plate. It requires a portable dark box or tent to sensitise and develop your plates in while on location. The plates are the same size as the back of the camera, so if you want large plates, you must have a large camera. The tin is coated with collodion (a mixture of gun cotton, alcohol and ether) and poured by hand onto the plate. It’s then sensitised in a bath of silver nitrate for several minutes. Once that’s done it’s placed into the back of the camera and it’s ready for exposure. Exposure times are ‘guesstimated,’ and because the process is a wet one, the speed of the medium is very slow. My exposures range from 1/2 second to several minutes, depending on subject matter, lens and light. The next step is development, which is done in the dark box. Once developed and rinsed, the plate is taken into the daylight where it’s fixed. This is the moment of excitement and discovery. As the plate is submerged into the fixer bath it transforms right in front of your eyes. It goes from looking like a bluish negative to becoming a positive image on blackened metal…in essence, a tintype. This dark art, the craft of collodion, is like old-fashioned magic. There are potions and elixirs that stain your fingers and have a strong smell. There’s a dark box with a cloth of mystery and enchantment. There’s a feeling of anticipation and exhilaration as each plate emerges from the fixer. The sense of collaboration is palpable, as my subjects and I both wait for the image to clear, to see if we each held up our end and made a good picture. What is it about large format that you are drawn to? Large format photography is so appealing to me, mostly for the size of the ground glass. An 8x10” viewing screen is so incredibly wonderful to look through, even if it is upside down! To be honest, I was drawn more to the project idea than the equipment. The equipment just helped me to realise the project. 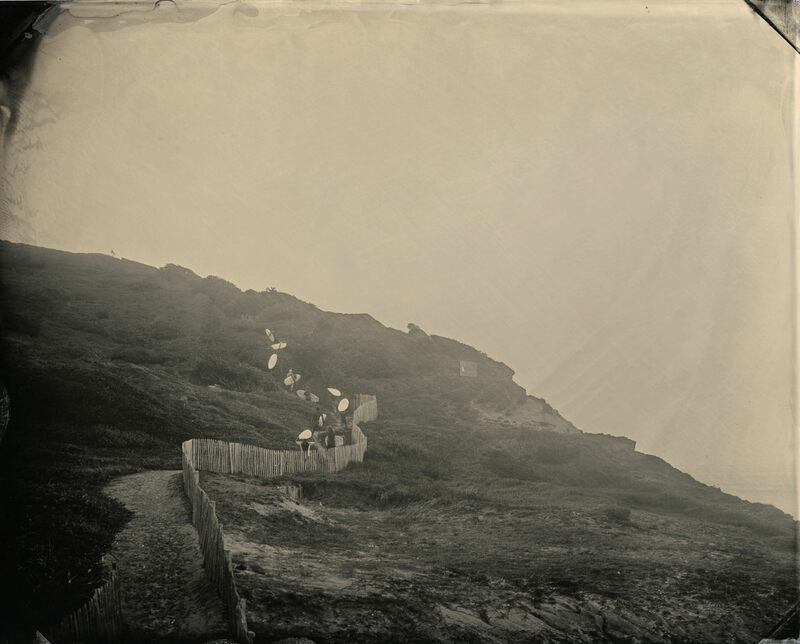 It began by photographing the ocean with an 8x10 camera. That led to an ongoing dialogue with water in general and with the equipment I was using. 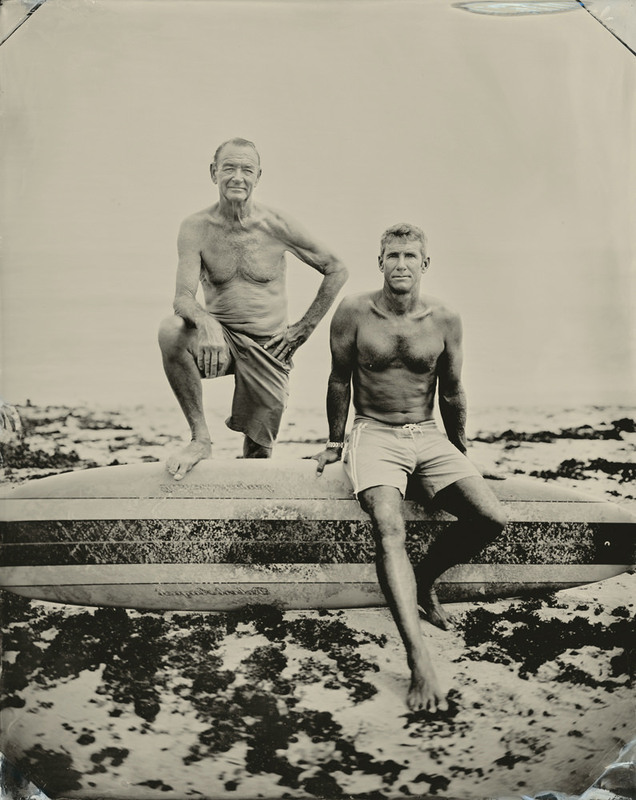 Why do you choose to use primarily tintype when shooting surfers, a photography technique that requires subjects to remain very still? 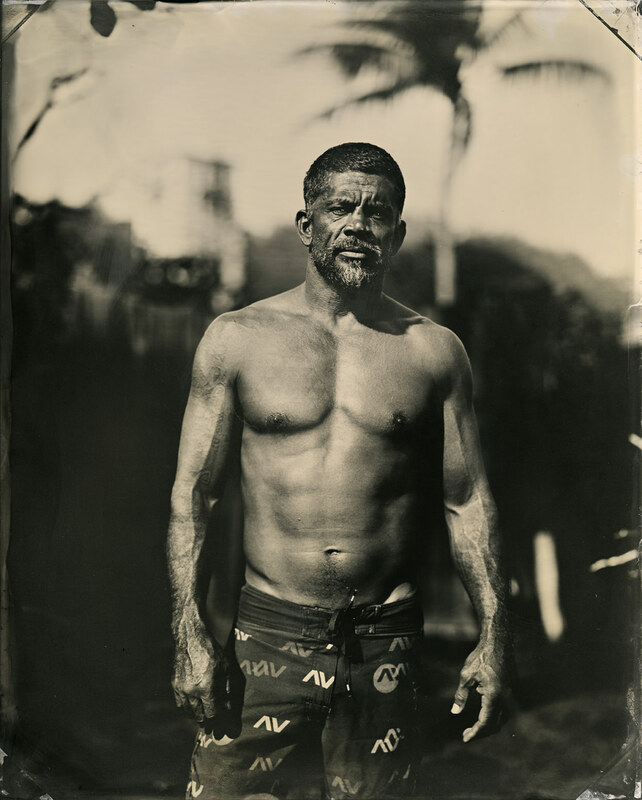 Photographing surfers with the wet collodion process, and in tintype was part of an evolving process. 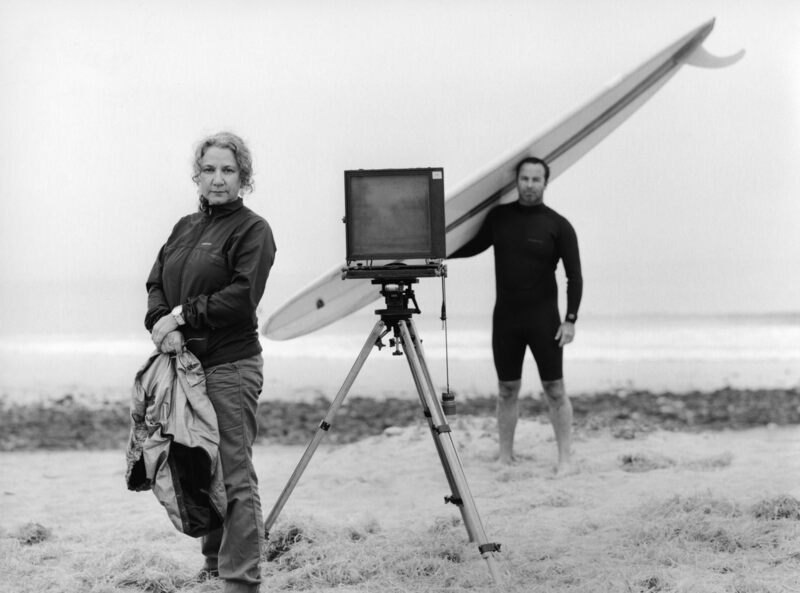 It started out with me and a large format camera, poised at the edge of a bluff, photographing the ocean surface for many years and making prints in platinum/palladium. 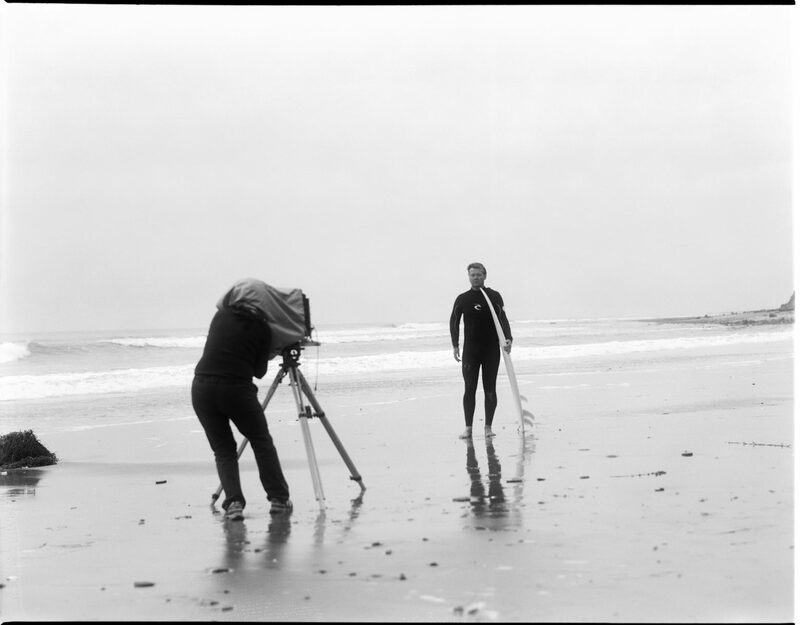 Soon after, I learned the collodion process and when I took the camera and dark box out to the same bluff where I had been shooting previously, and I ran into a surfer and photographed him. It took exactly that one tintype to realize that the process and subject matter worked incredibly well together. My pictures are not about capturing the speed or movement of a surfer while riding a wave but about portraiture made directly in the environment. The wet collodion process is slow, it captures movement and yes, it does require people to remain extremely still…and it takes a long time to make the picture. That’s the best part of the process, in that it separates what I am doing from the speed of surfing, and the speed of the world. The time it gives me is used getting to know my subject, chatting, hanging out. It helps me to draw my subjects into my project and form a collaboration. Are there any added challenges that come with shooting and developing your images on locations like beaches? The challenges of photographing in the field are numerous, but being in the field is also extremely rewarding. There’s the access to the beach, which in some cases requires hauling the gear down stairs, ramps, or other difficult terrain. My 8x10 kit fits into a compact VW wagon, but that doesn’t give you a clue of what it takes to get the camera, tripod, dark box and chemistry to the waters edge from the parking lot. It requires brawn and dedication... and a helper or two! Then there’s the weather, the tide, the wind, and the weather as the day progresses. The wind adds to both camera and people movement. My exposures are long enough to capture eyelids blinking, or water running up along my subject’s feet. It either adds to the image or ruins it, no middle ground! What inspired you, a native New Yorker, to travel to surfing hotspots all over the world and document them? The first year I started the series it was mid to late summer 2006. My last shot in Montauk, NY, was on November 1st on an unusually warm day. I was way too excited about the project to wait till the following summer to continue, so I did a little research into places where the weather would be warm enough to shoot and process the plates outside. I first considered Florida, but was advised that the surfing there is pretty bad, so my assistant and I headed to California. Like surfers, we traveled up and down the coast in search of a swell…and surfers. My next destination was five years later when I was invited to Australia for a residency in Byron Bay. I researched where to get the chemistry there. Exactly three people on the island were shooing wet plate and sourcing the chemistry required months of advance notice. I had only 6 weeks. Fortunately I met an amazing and generous person who was nearby and he sold me some of his chemistry. 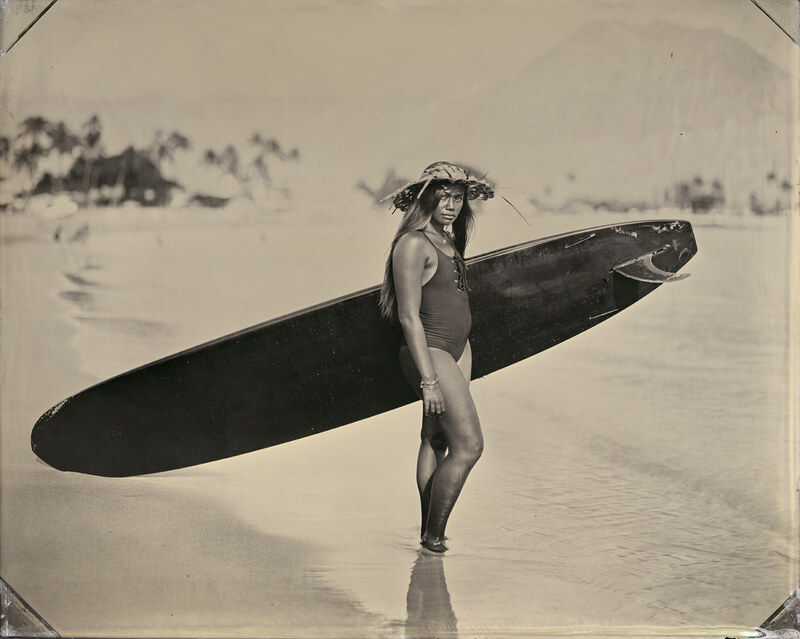 Since I had first learnt wet plate collodion, the process was growing and suddenly there were all these people shooting all over, like in Germany, Holland, England and France, so traveling to other surf destinations became a no brainer. This body of work, which I think of a documentation of sorts, could now really represent a significant culture of people who travel around the world in search of the perfect wave. What do you feel you get out of large format that you can’t from other film formats or digital? Extreme detail formed by the action of light on a precious metal (silver.) I could shoot other formats, and have actually shot 11x14, 14x7 and 16x20 sized plates. When one is shooting a direct positive, the picture is the same size as the camera. If you want a bigger picture, you need a bigger camera. Digital photography for me is about ease and video. Those are things I like best about it but creating an art project around ease rather than desire does not appeal to me. Do you have any future projects you can tell us a little about? I am working on a few new projects. 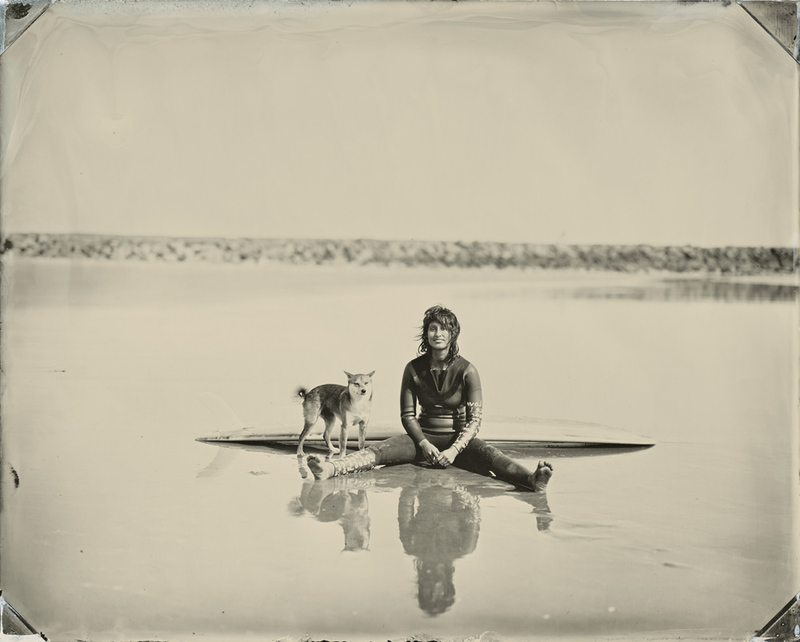 One is collodion based and is an off-shoot of the Surfland project. For this series I am making 11x14 wet collodion negatives and contact printing them traditionally, with gelatin silver paper. The subject matter is historic surfboards. My other projects are all book related. I have begun making artist books, one of which is from my archives. The pictures depict life on the streets interwoven with portraits of friends and family, all black and white, centred in NYC between 1975-1980. With thanks to Joni's galleries - Galerie Hug in Paris and Von Lintel in Los Angeles. To see more of Joni's work go to her website or follow her on Instagram.